Collects Fantastic Four (1961) #33-51 And Annual #3. Stan Lee called it "the World's Greatest Comic Magazine," and he wasn't kidding. If Lee and Jack Kirby set the comics world on fire in 1961 with the debut of the Fantastic Four, in 1965 they burned it down. 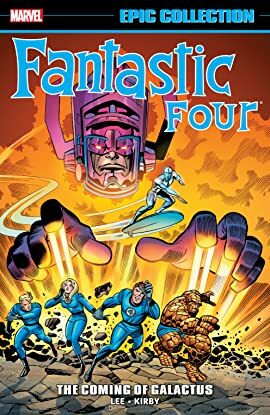 Letting loose an unmatched burst of rapid-fire creativity, they gave birth to the Frightful Four, the Inhumans, Galactus and the Silver Surfer — and even pulled off the first super-hero wedding! 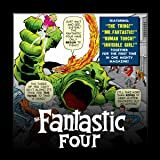 There are also monster menaces galore, including Dragon Man — and out-of-this-world villains, from the shape-shifting Skrulls to the undersea warlord Attuma. But it's not just the panel-bursting action that makes FANTASTIC FOUR great. It's the drama of a family, united to explore all the wonders of the Marvel Universe side by side!